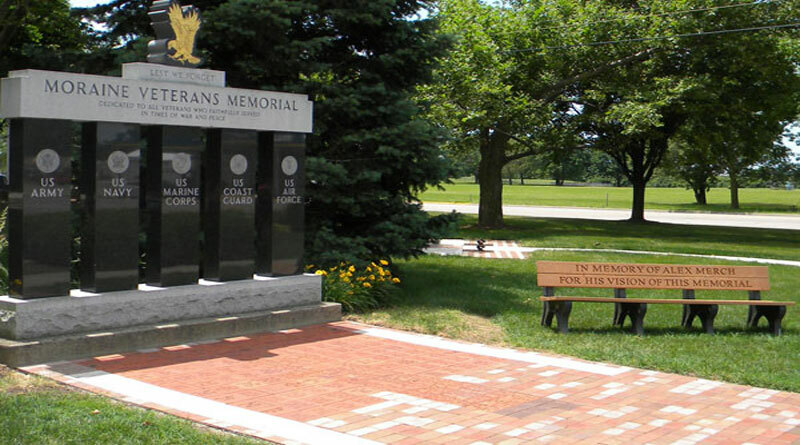 The City of Moraine has two memorials to recognize our former employees and veterans. The Moraine Police and Fire memorial was constructed in 2012. It has two large bronzes statues: one firefighter and one police officer, with plaques, as well as 270 bricks to remember our Fire and Police personnel. To honor a loved one with a brick download the form. Our All-Veterans memorial was constructed in 2002. It has a large monument with each branch of the military, as well as 563 bricks to remember our veterans. Deadline for the Memorial Day order is Jan 15; bricks will be installed in early May and dedicated during the Memorial Day Ceremony. Deadline for the Veterans Day orders is Jun 15, bricks will be installed in early November and dedicated during the Veterans Day Ceremony.